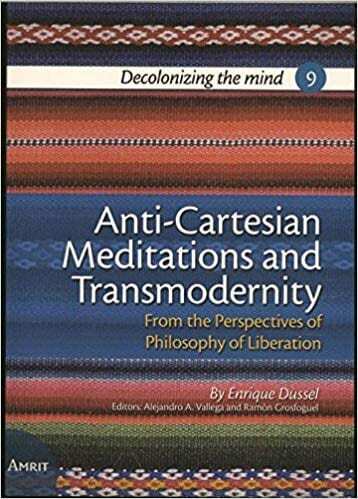 Professor Vallega’s collection of essays by Enrique Dussel, titled Anti-Cartesian Meditations and Transmodernity: From the Perspectives of Philosophy of Liberation, has been published by Uitgeverij Amrit/Amrit Publishers (the Hague). Author of more than 50 works, Argentine-Mexican philosopher of liberation Enrique Dussel (1934-) is one of the major figures in the development of world philosophies. He is one of the founders and the most recognized member of the group that begun philosophy of liberation in the early seventies in Argentina. He is also one of the major figures in the development of the theology of liberation in Latin America. Dussel’s work is generally seen in the English speaking world as related particularly to Latin American concerns such as: the social and political revolutions in Latin America in the Seventies, the birth of the theology of liberation, and the role in Latin America of pragmatism and neo-Marxist theory. 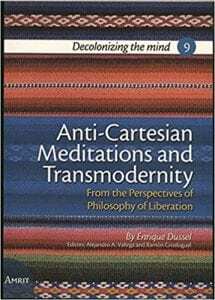 However, as the present volume reveals, the scope of Dussel’s work is much larger as it points to a reconfiguration of the very way one understand the task and history of philosophy, ultimately offering a work necessary and pressing for today. The book is edited and introduced by Alejandro Vallega and Ramón Grosfoguel.